Yoda. Snooki. Stephen King. And Dealing With Rejection. Last night I learned that an editor declined to publish the novel I’m working on. No. No. No. Don’t feel pity for me. Don’t. I’m fine! Seriously. This isn’t my first rejection. It won’t be my last. Rejection is part of the job. It’s in the package deal. I knew this going in and I accept that it will be a common occurrence in my career. I’m not saying that I’m jumping up and down and celebrating it. That would be insane. But, over the years, I’ve learned how to deal with the “no thank you” letters without binging on chocolate and flooding my house with sobbing. That may or may not have happened after the first rejection I ever got. 1. Recognize that it stinks, but don’t roll in it. Yeah, it’s not the news you wanted. It stinks pretty nasty. And you’re going to smell it for a couple days. But if you dwell on it, roll around in it, you’re never going to be able to get away from it. Plus, everybody around you is going to smell it on you…and they won’t want to be around you all that much. So, look at it, recognize the stink, step around it, move on. 2. “Anger leads to hate. Hate leads to suffering.” -Yoda. Okay, so you’re disappointed, maybe a little hurt. But don’t let yourself get angry. Or bitter. Or hateful. Editors are people. Good people. They don’t deserve to be the object of anger or hate. So, don’t ever, ever, ever confront them. NEVER. Can I say that again? DON’T YELL AT THEM! It’s just not cool. Oh! And don’t internalize your anger, either. When you get angry after a rejection (at yourself or somebody else), you’re just going to be miserable. Then you’ll be rolling in the stink (which really should be a Weird Al parody, right?). And see #1…nobody wants to be around that. 3. Yeah. Snooki has a novel published. So what? Before Paint Chips was published, I suffered a good deal of angst over Snooki (from The Jersey Shore…she’s a party girl…and…well…honestly, I don’t know much about her other than she was an MTV star for awhile). I also bemoaned that, “Other people who aren’t as good at writing are getting book contracts”. I spent time boo-hooing and feeling sorry for myself. So much that one day I was sick of myself. Let Snooki have her novel. Don’t read it while eating sour grapes. Just don’t. Her career is hers. 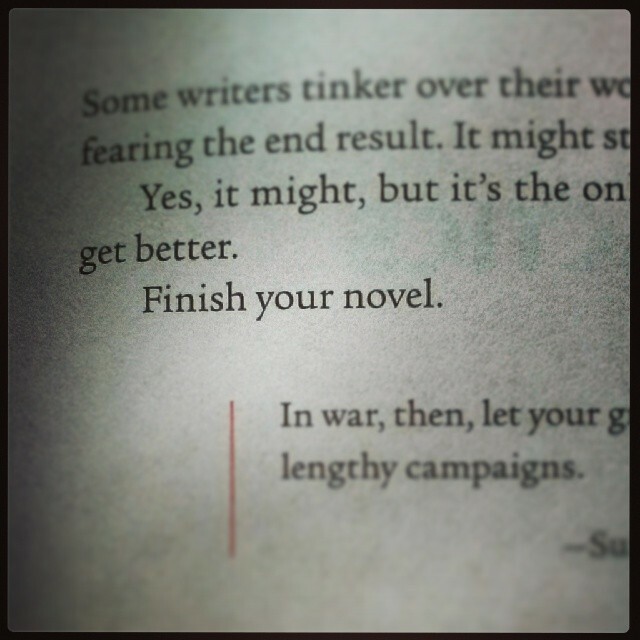 You’ve got your own novel to write. Or song to perform. Or…whatever. But don’t hate someone else for their success. See #2 and #1. 4. “I get knocked down, but I get up again. You’re never gonna keep me down.” -Chumbawamba. Don’t quit just because you get a rejection. Get up. Make sure you don’t step in the stink (see #1). Keep going. Repeat. 5. Add the badge to your letterman jacket. Okay. So you don’t get a varsity letter for it. But just go with it a second. A rejection is a badge of honor. You tried! You put yourself “out there”! You were brave! Stephen King has more rejections than you, I bet. So does J.K. Rowling. The Help was rejected 60 times! One rejection is a step in the right direction, if you ask me! Maybe it’s better to think of it as a battle scar. It makes you look tough. Be proud. 6. Get back to work. Give yourself a day or a couple hours or whatever to be sad. That’s okay. It’s normal. But don’t forget that you’ve got a job to do. Get to it. And make sure you’re doing the best you can. Remember, just because one editor said “no thanks” doesn’t mean another won’t embrace the work. Speaking of work…I’ve got to go. I have a novel to write. I hear an interview with Pharrell where he said his song was rejected 9 times–back to the drawing board 9 times–before it was accepted for the Despicable Me movie. Bet he is “Happy” that he kept trying! Ha! I see what you did there! Yup. The art biz is all about working hard and going along with the rejections. And it’s all about endurance. That’s for sure! Thank you muchly, Meg. And I’m feeling fine. Actually, it came with encouragement, so that was nice.